JumpStart is today's #1-selling educational software brand for children, with over $140 million in sales. Since 1994, JumpStart has leaped to the forefront of the educational software market, with more than 30 titles and 10+ more to come in the year 2000. 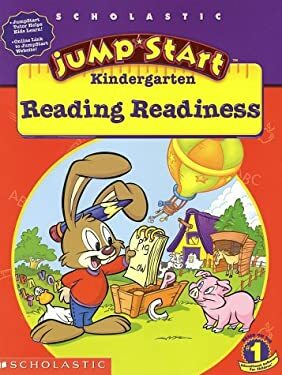 In 1998, JumpStart Preschool was named the Best Educational Title of the Year by the Academy of Interactive Arts & Sciences -- the software equivalent of a Grammy JumpStart has won numerous awards from such publications as Working Mother, Parenting, Family Life, and Newsweek. -- Each full-color workbook covers age-appropriate, grade-specific skills based on current curriculum standards, and encourages kids to "jump" to more challenging levels. -- Each workbook includes an engaging reward system: a JumpStart certificate of completion, and full-color sticker sheets. -- Each workbook incorporates the JumpStart characters, colorful artwork, interactive activities, and exciting adventure themes. -- The online link is unique to JumpStart. The "Parent Resource Center" allows parents to track their child's progress. Parents may also access the resource center through www.scholastic.com. -- Developed in consultation with teachers and educational professionals, and reviewed by JumpStart's Kid Assessment Team for usability, accessibility, and fun. -- Workbooks feature all new, original material.